Designed for parents and children ages 6 months to 2 years. Did you know that vision is, in part, a learned behavior and not the automatic ability that most of us always assumed it to be? Like learning to grasp or crawl, controlling the muscles in the eyes so that they move together or focus appropriately takes practice. This class is designed to introduce parents and babies birth to 6 months old to fun activities that promote healthy vision development. Come SEE what it is all about! Discover your baby's hidden talents! Learn surprising things your baby can already do and how you can foster these early abilities. This interactive parent and baby class will introduce you to insights from Drs. 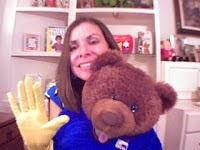 Acredolo and Goodwyn's best selling book, Baby Minds, all in the context of fun songs and activities. Ideal for babies 2 to 6 months old. Come learn how to make tummy time fun for your baby through engaging songs and activities in a play class setting. At the same time, your On The Grow Educator will provide valuable parenting strategies to help you make the most of this important stage of development. Ideal for babies 2 to 6 months of age. It's a potty party and you are invited! 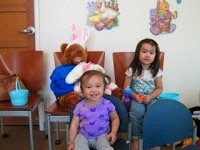 This class provides a fun way to introduce the concept of potty training within an entertaining and interactive class. Children will learn potty time signs, sing songs and hear stories about using the potty. There will be information for parents about the Baby Signs Potty Training Program with ideas for starting and staying motivated with potty training. Ideal for 1 - 4 years old. Designed to help children appreciate the magic all around them when they venture outside, this play class makes learning fun through songs, activities, signs, and a simple craft project! Also included are tips for parents from Drs. Acredolo and Goodwyn on how to nurture a child's sense of accomplishment. A great class for awakening children to the wonders of nature. Ideal for ages 2 to 5 years old. Learn simple signs for animals under the sea through fun songs, games, and activities. Led by an On The Grow Educator, this class will also provide you with tips and strategies from Drs. Acredolo and Goodwyn's best selling books helping you teach your child self contol. Join us for a "whale" of a good time! Ideal for ages 2 to 5 years old. A child's world is full of colors! Join us for this 45 minute class which teaches fun activities and games to help children explore the colors around them. Learn ASL color signs and how colors help build a foundation for future learning. Ideal for ages 18 months to 4 years old. The theme of transportation becomes the "vehicle" for learning cooperation through fun signs, songs, stories, and activities. An On the Grow Educator will share insights from child development experts, Drs. Acredolo and Goodwyn, to help you with this important parenting challenge. A great way to get your child on board the cooperation train! Ideal for ages 2 to 5. Good manners do more than impress people. They also express gratitude and promote positive interactions. Help your child learn important social skills while learining simple signs for favorite foods. Come learn about Manners, Mealtime, and More in the one-time class! The children will enjoy songs, games, and crafts while exploring the topic of manners. Ideal for ages 18 months to 5 years. Are you ready to learn your ABCs? Join us for a fun class that introduces you and your child to the manual alphabet. The skills learned in this class will help your child with letter identification and other emerging literacy skills. You and your child will discover how fun learning can be as you are introduced to the ASL signs for the letters of the alphabet through engaging activities and songs. Ideal for ages 3-6 years. It is time to wiggle, dance, twist and turn! 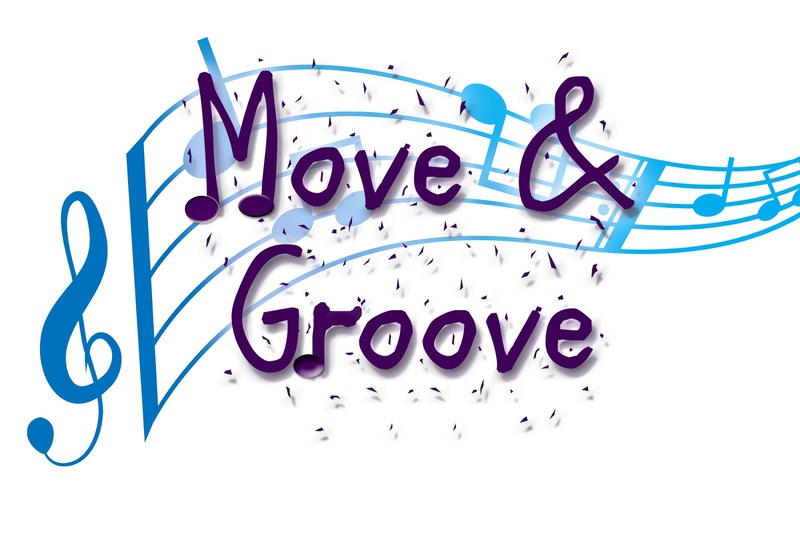 Parents and children will enjoy moving and grooving in this class designed to introduce movement activities through fun games and songs! Parents will discover how music promotes language, cognitive, social and physical development while children learn how much fun it is to Move & Groove! Ideal for ages 18 months to 3 years. 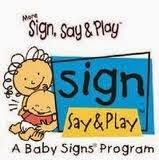 Join us for a fun, interactive parent & child play class and learn some of our "favorite" signs. Fun songs, stories and activities highlight important developmental skills. Parents will discover how signing with books helps foster early literacy skills and a lifelong love of books. Ideal for ages 6 to 24 months. Children and parents will enjoy a 45 minute class filled with games, stories,, dancing and activities based around the theme of numbers! Come and discover how much fun you can have with numbers and counting! This is a class you can really "count" on! Ideal for ages 2 1/2 to 5 years old. You can find information on dates and locations on our Calendar page. If you are interested in hosting a class or having a private class in your home, contact us for pricing information and details.